Garet Garrett’s fiction deals with the social impact of economic transformations. In The Driver, he deals with railroads, while Satan’s Bushel examines agricultural. 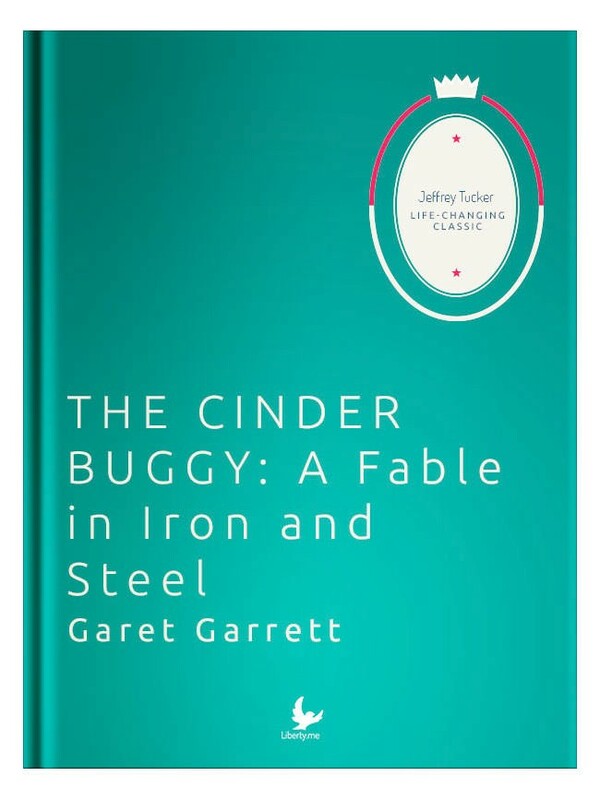 The Cinder Buggy, his second in the trilogy, is the longest of the three and his true epoch novel and unforgettable masterpiece. With a great story, and tremendous literary passion, it chronicles the transformation of America from the age of iron to the age of steel. It covers the period between 1820 and 1870 and its dramatic technology march. The plot concerns an ongoing war between two industrialists, one the hero who is beaten in the first generation and the other who is malevolent but initially wins a first round in the competitive drive. The struggle continues through the second generation, which leads to a titanic battle over whether steel or iron would triumph and why. Wrought iron is what made New Damascus tick and the two men who made it happen were named Aaron Breakspeare and Enoch Gib. Aaron is beloved but not a great businessmen. He dreamed of the steel age but failed to make it happen. Enoch is a good businessman but dour and widely loathed for his miserliness and treatment of others. A feud over a banker’s daughter leads to the initial dissolution of the partnership, and the son of the resulting union, John Breakspeare, returns to New Damascus to enter the iron business. This leads to a fascinating repeat of events that causes another dissolution, this one more bitter and shocking than the last. The feud continues over iron and then over steel until steel wins the victory after many fits and starts. In the course of the story, the reader discovers how it is that technology has such a dramatic effect on society, and how risk and entrepreneurship are at the very heart of it all. Whereas this genre of fiction usually deals with real war, Garrett employs every literary device to make commerce itself the setting for great acts of courage, heroism, sacrifice, and tragedy. And as with his other books, the central mover of events here is the price system. It is the signal for and cause of the most notable changes in the plot. The reader discovers economics in a way that might otherwise not be possible, and it is hard to imagine that anyone would come away with anything but love of the whole subject of enterprise. Garrett does not portray the market as some idealized utopia. We have here the full range of human emotion and motivation at work: arrogance, pride, malice, love, compassion, jealousy, rage, and everything else. What is striking is that all these emotions play themselves out in a setting that is ultimately peaceful. No one can fully control price movements, and it is these that act to reward virtues and punish vices. There has never been, before or since, economic fiction that can compare with the super-high quality standards set by Garrett in these smashing novels. The Cinder Buggy could easily be considered the best of his work in this area. It is a wonderful novel for anyone who loves, or wants to more deeply understand, American history, economic theory, and the place of technology in the molding of society.